On October 30 - 31, 2018, the third meeting of the BIO2CARE project "Reinforcing protected areas capacity through an innovative methodology for sustainability" took place at Xanthi, homeof the Engineering School of Democritus University of Thrace. BIO2CARE is co-funded by the European Union under the INTERREG V-A "Greece-Bulgaria 2014-2020" Territorial Cooperation Program. 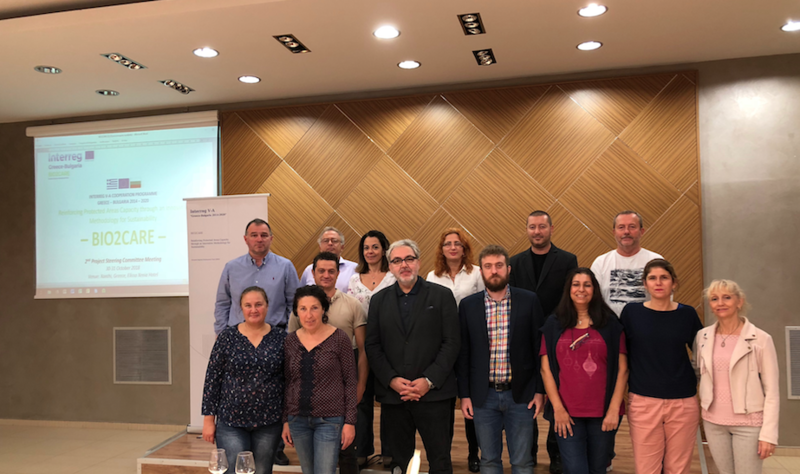 The project includes eight partners from Greece and Bulgaria, while lead partner is the Laboratory of Environmental Management & Industrial Ecology of the Department of Production Engineering & Management of the Democritus University of Thrace. During the third meeting,issues related to the work in progress were discussed. The project aims to the development of effective procedures for the management and the protection of biodiversity of the National Park of Eastern Macedonia and Thrace in Greece and of the National Park of Rila in Bulgaria.